Do What You Can was a non-profit project whose goal was to get aid to the people of Syria. Paddy first met Abdulrahman in September 2012 in Ankara, Turkey. Paddy was on a 6 month volunteer project and Abdulrahman had been forced to flee his family home in Damascus, Syria, because of the on-going conflict. With the help of friends they were able to cross the border into Syria and spend time with locals and refugees. The experiences of their time inside Syria, and the knowledge that people were suffering, motivated both Abdulrahman and Paddy to help. Through this motivation Do What You Can was established. A website was constructed, promoted via social media, and soon donations were being made. As Paddy’s time in Turkey was coming to an end, he and Abdulrahman crossed the border into Syria once again. After speaking with the refugees and displaced families, the money that had been raised through donations was spent on the items that they requested. A number of children received winter coats, baby bottles were purchased, as were cartons of powdered milk and bottles of cooking oil. 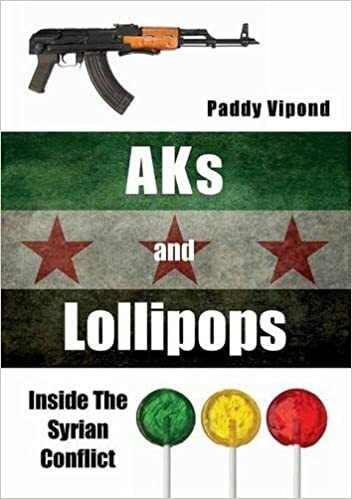 Paddy’s account of his time in Syria can be found here.